Yellow pine wood flooring may work for you because it tends to be less expensive than other wood floors. However, because it’s not as popular, it may also be a bit harder to find in the store. It’s a softwood. It’s a light, bright color. It’s easy to install. Most people do not consider yellow pine wood flooring when they are trying to determine what kind of wood that they want to use in their homes, simply because it is not considered one of the most popular types of wood. You are sure to see oak, beech, and maple at your local flooring store because they are considered true hardwoods, but yellow pine wood flooring is a softwood flooring choice that is not as widely known about or recommended, even though it is a beautiful and durable choice. Softwoods, like pine, are not normally considered a good choice for flooring, but it can be. In fact, it is a flooring choice that will stand up well to wear and tear and that is less expensive than many other flooring choices. If you look in older antebellum homes in the South, you will find that pine flooring is a predominant choice in these homes and it has lasted for hundreds of years. The dings and dents that are part of living and walking on yellow pine wood flooring only helps to make the beauty of these floors more visually appealing. It is a comfortable look that is both inviting and warm feeling in homes. Another great appeal of yellow pine wood flooring is that it can help to brighten up a dark and unwelcoming home. The brightness of the pine flooring can make a home brighter without overpowering the style of the home. It is a great way to update a home that will not entail redecorating the room entirely. 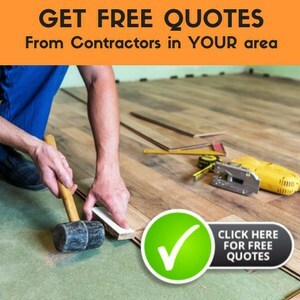 A different flooring choice can make a big difference in your home and yellow pine wood flooring can be a choice that will fit both your needs and your budget. If you love the visual interest of pine flooring, then you will fall in love with yellow pine wood flooring. The knots, graining, and coloring of yellow pine wood flooring are what give it that special look for your room or your entire home. This softwood gets even more beautiful as it ages. The stunning patina that the wood gets after a few years and the added imperfections that are due to normal wear and tear can help to make the yellow pine wood flooring a choice that you will be proud of and enjoy for many years to come. Yellow pine flooring is a great choice for your entire home or for just a special room. The beautiful yellow-tan to yellow-red natural color will help to enhance almost any decorating style that you choose, unless you are ultra-modern. You can also stain the yellow pine to create the exact color and feel you want in your home. This flooring choice can help to make your room and home warmer, brighter, and more welcoming for your family and your friends. Most people do not consider what feeling that their flooring adds to their home, but this mistake can leave you with a home that feels drab and uncomfortable. Consider this train of thought when you are planning the décor of your room to ensure that you will have a home that is welcoming for you, your family, and your friends.